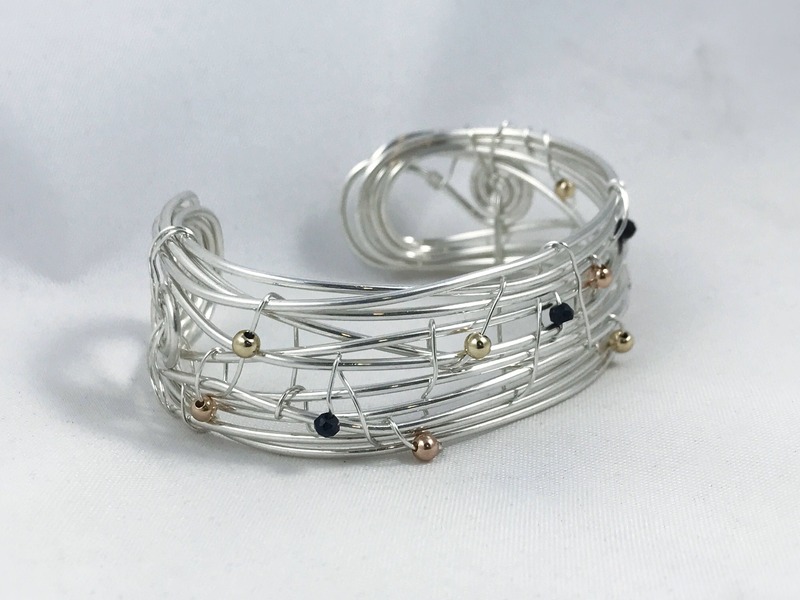 This woven sterling silver cuff features an elegant organic design unique to each one, creating a dimensional layered look with lots of depth and visual interest. Accented with rose gold filled, yellow gold filled and faceted black tourmaline to add color contrast and light play, this bracelet looks incredible with other mixed metal bracelets or worn all on it's own. It is designed to be both structural and fluid in appearance, chaotic and also harmonious and balanced. Each one is carefully hand woven and surprisingly comfortable to wear. 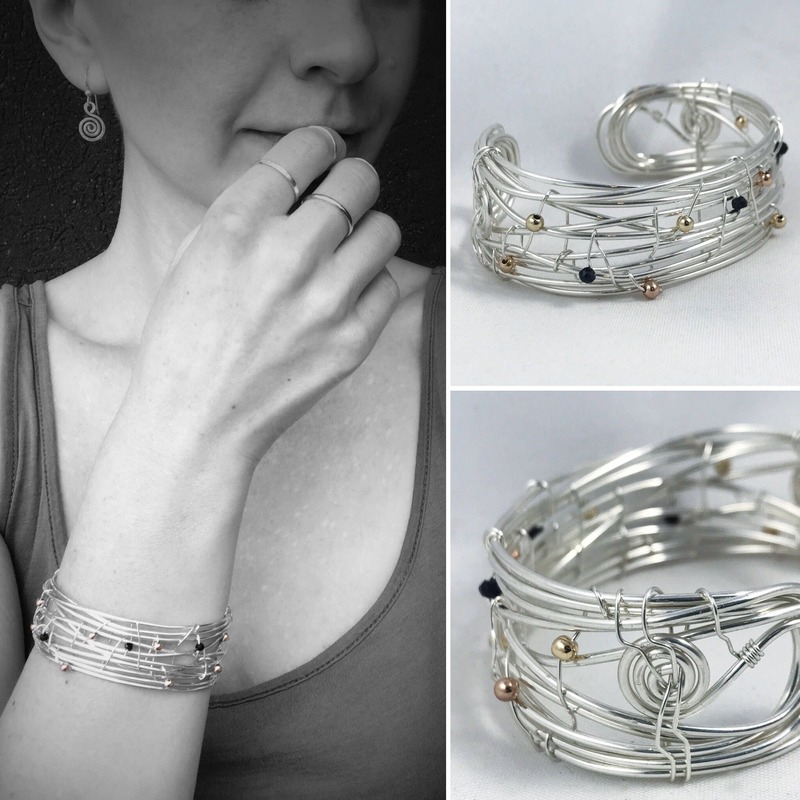 This bracelet is made to order and each one is unique, yours will be created just for you. 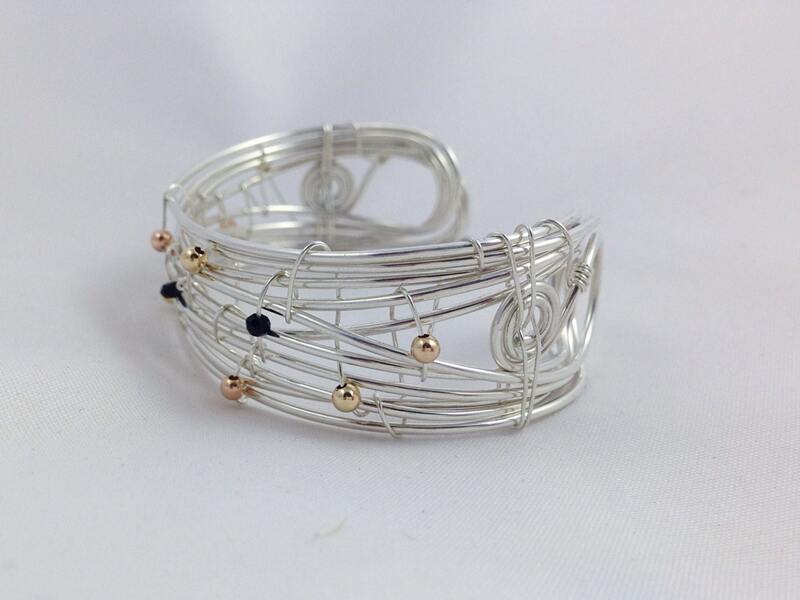 -Cuff is free form woven by hand from over 8 feet of solid 16 gauge sterling silver wire. 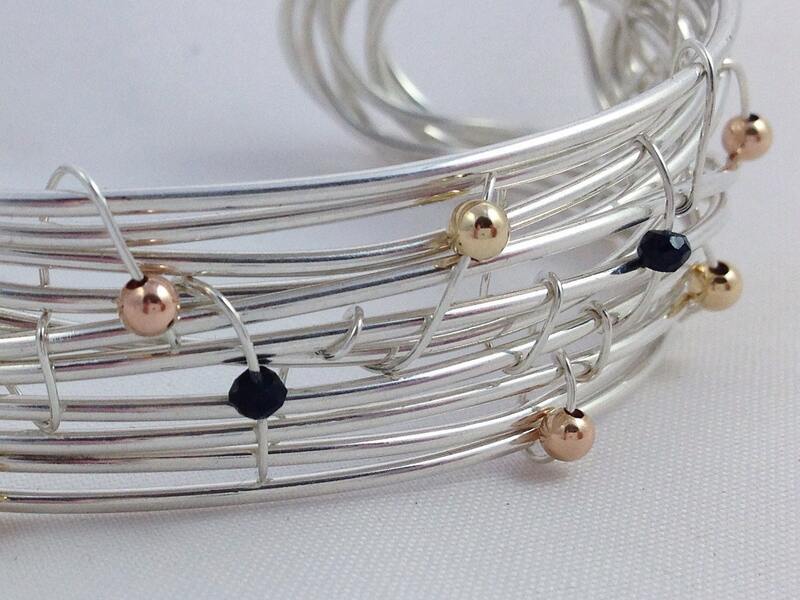 -Each cuff features 11 accent beads woven onto the design with sterling silver wire. -Accents are 3mm yellow gold filled, 3mm rose gold filled, and 2.5mm faceted black tourmaline. 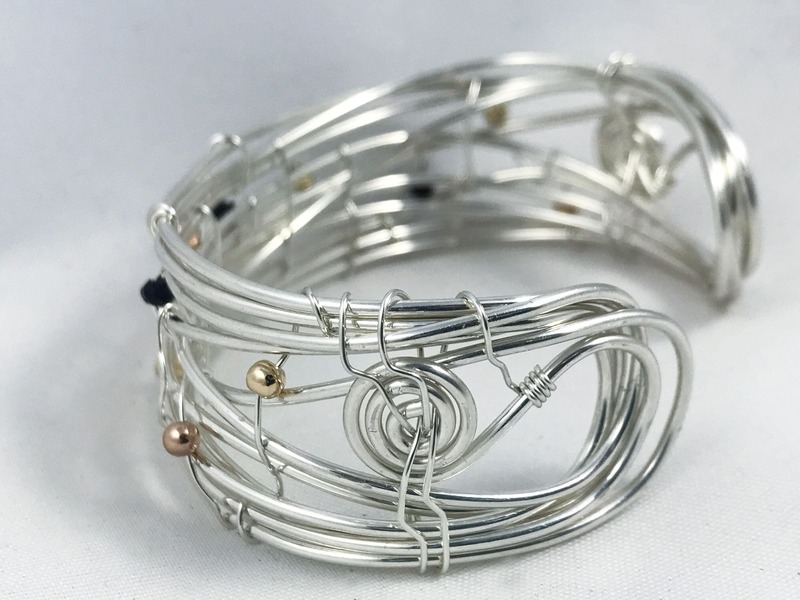 -Each of these bracelets is entirely hand woven, and each one is unique with it's own wire arrangement and accent bead placement as part of the organic free form nature of the design, so please expect slight variations of these features while remaining true to the design shown here. 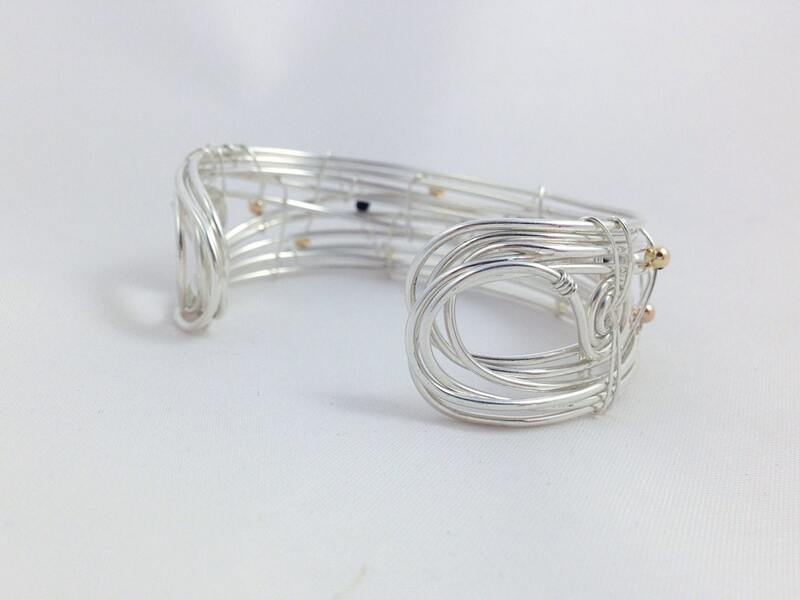 -Cuff width (top to bottom) varies slightly per design but averages just under 1" width. 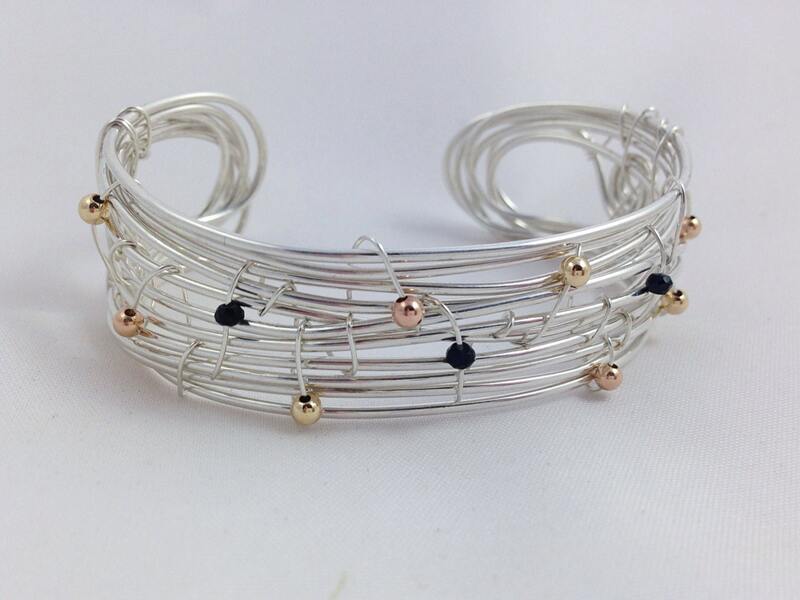 -Cuff is strong, flexible, and very comfortable to wear. If you have any questions at all about sizing, or you don't see your size listed in the drop menu, please message me. I'm happy to help! Thank you so much for visiting my shop! This bracelet is very unique!! 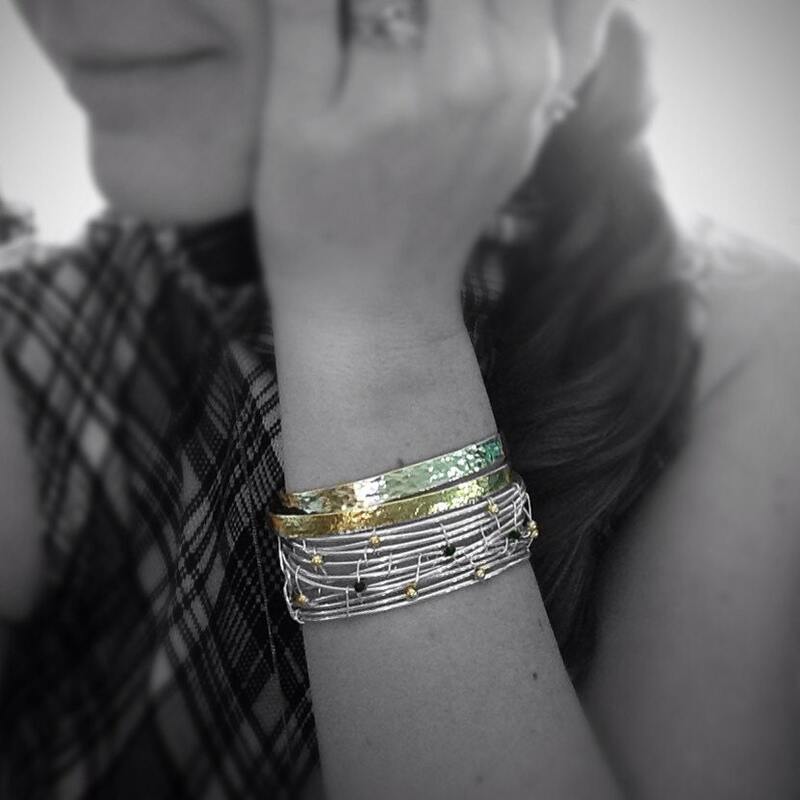 Wear with anything....love, love, love.